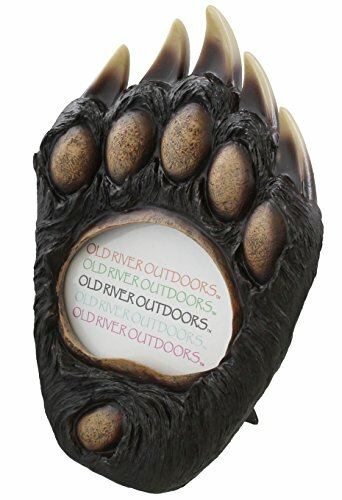 Decorate your favorite house, den, cabin or kids room with this amazingly detailed bear paw picture frame from Old River Outdoors. Large - stands 10" tall by 6 3/4" wide. Designed for table top display of 5" x 3 1/2" vertical oval photos. Made from hard, durable poly resin material with glass insert.